OPI has become the leader in the professional nail care industry, and OPI products are available at salons and spas around the world. No matter what your age, profession or mood, OPI has a color and nail lacquer formula to fit every lifestyle and personality. OPI nail lacquers were voted Favorite Nail Line at the 2015 Stylist Choice Awards and the Favorite Traditional Polish in Nails Magazine's 2014 Reader's Choice Awards. There are several color collections available, each with its own unique pigmentation and additives. The cost of the nail lacquers cost just under $10 at most salons and spas, Ulta, and Macy's. There are also shiny and matte top coats for these polishes as well as a base coat. There are almost 100 different shades in the Classic Collection ranging from red, pink, purple, coral, blue, brown, black, berry, green, silver and gold. This is the ultimate array of colors that are timeless and seasonless. Many of these colors have been produced since the company began, such as OPI Red. This collection of pastels and neutrals is added to annually. There are currently 42 different Soft Shades from white to a soft taupe to a silver glitter lacquer. The 2015 additions to Soft Shades include an orchid pink and a pink glitter named Petal Soft. This collection is the perfect finish for wedding manicures. The Brights collection includes eye-catching, trendy colors. These are not necessarily neon, just bright and energetic colors that include pink glitters, orange, pewter tones, teal and blues, such as the blue metallic shimmer "I Sea You Wear OPI." There are close to 20 shades of polish in this collection. Hawaii - This Spring/Summer 2015 collection contains twelve island-inspired colors from the blues of the ocean, the coral and pinks of the flora, and a yellow with multi-color glitter that is aptly named "Pineapples Have Feelings." This collection will transport you to the islands if you cannot go in person. Fifty Shades of Grey - This limited collection was introduced in January 2015 and was inspired by the movie and novel. It features six lacquers in red, silver, and of course, a charcoal gray called "Dark Side of the Mood." It's a dramatic collection for any fan of the novel. Nordic - Introduced as a Fall/Winter 2014 collection, Nordic consists of twelve colors that boast of land, sea and ice ranging from soft browns, plums, teal and silver along with coordinating multi-color glitter named "My Voice is a Little Norse." Brazil - This collection was introduced for Spring/Summer 2014. Brazil has twelve Latin inspired colors ranging from red, coral, teal, yellow, and smoky purple and includes a purple with pewter glitter. Allure magazine awarded the shade 'Live.Love.Carnaval' one of their Best of Beauty Awards for 2014. Coca-Cola - This limited collection for 2014 is still available. It showcases nine classic colors inspired by the legendary beverage including red, pink, purple, silver, and a special black and red glitter polish which is reminiscent of a glass of Coca-Cola named "Today I Accomplished Zero." The Designer Series features metallic lacquers with glitter ranging from shimmering dust to chunky. There are 11 shades in this collection ranging from silver and gold to purple, blue, pink and pewter. One of the prettier shades in this collection is "Lapis," which is a deep sapphire blue polish with sapphire glitter and a matte finish. New shades are added annually to this collection. Nicole by OPI is the drugstore line of OPI nail lacquers. This line is found at most drug and department stores as well as Ulta. Prices vary depending on the store, but most are around $8. Nicole by OPI was designed for younger customers by the price point and available colors. This line offers about 80 different shades of vibrant and trendy polishes, such as the cool purple shade "Oh That's Just Grape!" which was voted as a 2014 Spring Standout by O (The Oprah Magazine). OPI Infinite Shine officially launched in March 2015. These polishes are gel based and dry without the need of heat or a light. They dry to a mirror-like gloss and last up to 10 days. This polish is easily removed with pure acetone polish remover without having to soak your nails. Infinite Shine will cost just over $12 at most salons. There are 36 stylish and elegant colors ranging from pale pinks to rich reds and corals to deep blues, purples and black as well as a base and top coat. OPI GelColor is a gel nail polish that has the durability of acrylics yet the thinness of the natural nail. It cures with an LED light and lasts for 2 to 4 weeks. Nearly every color of OPI nail lacquer is available in GelColor along with a base coat and top coat. It is soaked off using pads containing pure acetone polish remover. This polish is available as part of a manicure service and is typically not available for retail purchase. The cost will vary due to individual salon or spa pricing for a manicure service. However, everything needed to apply GelColor at home can be found on Amazon. The GelColor polish is less than $20 a bottle and the LED light needed to cure the polish ranges from less than $20 to $275. Axxium Soak-Off Gel is a lightweight gel that is thicker than GelColor and tends to work better for those who have difficulty wearing GelColor. There is also an Axxium Sculpture Gel. In many ways, they are the same. Both gels cure under a UV light, have exceptional adhesion to the nail, are odor free, and use a base and top coat. However, Axxium Sculpture Gel has a stickier, acrylic-like consistency before it is cured and is typically used with artificial tips. Most of the nail lacquer colors are also available in both Axxium Gels. Like GelColor, they have to be soaked off with pure acetone and are available only as part of the manicure service in a salon or spa. Removal requires a second appointment. Prices will vary depending on the spa or salon. Is OPI Really Better than the Rest? Professional nail technicians and customers rave about OPI's rich colors, quality, and durability. Some say it is the "gold standard" in nail polish. That said, there are just as many that say OPI is the same as any other brand and chips easily. OPI maintains high standards and verifies the quality and safety of their products through a team of scientists who assist in the creation of OPI's many innovations. OPI nail lacquers contain highly pigmented colors in a super-rich, long lasting, and chip resistant formula. Many polishes have a narrow brush, which more times than not, leave you with a very streaked manicure. OPI nail lacquers have an exclusive ProWide brush which is designed to evenly distribute color to the nail. This means no streaking in the polish application. 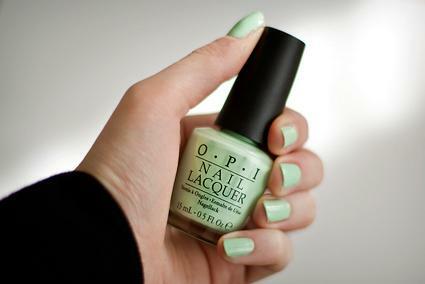 OPI nail lacquers are also free of toluene, dibutyl phthalate (DBP), and formaldehyde. They reformulated their lacquers after a public campaign for changes in the nail care industry in 2006. OPI is considered a "green" product due to the absence of these three toxins. There are very few women that can keep a manicure looking new by doing nothing all day, every day. By following simple nail care steps with your OPI nail lacquers, you can keep your manicure looking fresh for weeks.